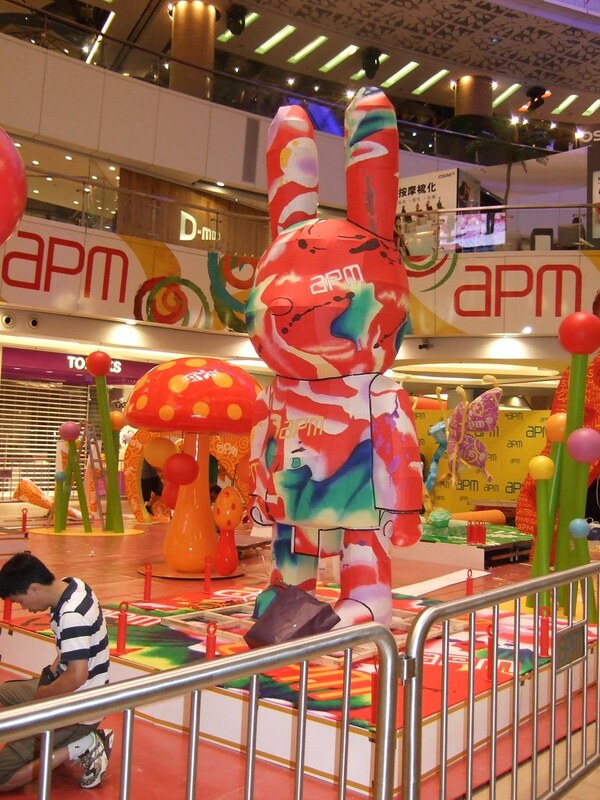 Takashi Kitamura, the world's most famous nebuta master and also one of the edgy talents, was invited by apm mall, one of the most vibrant shopping malls in Hong Kong developed by Sun Hung Kai Properties. 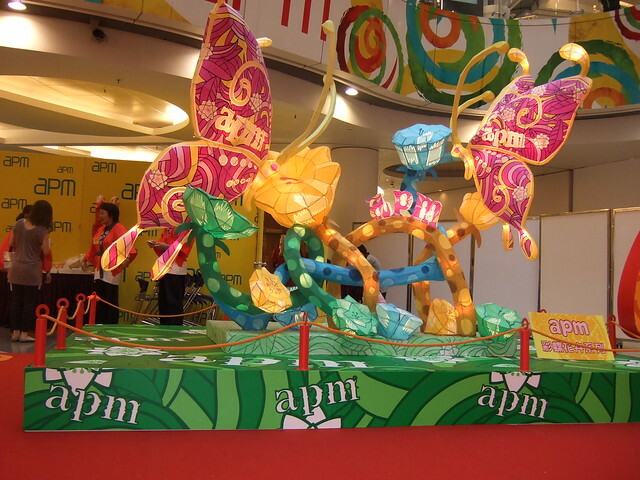 apm is well-known for hosting many Japanese-led exhibitions and events to attract shoppers. 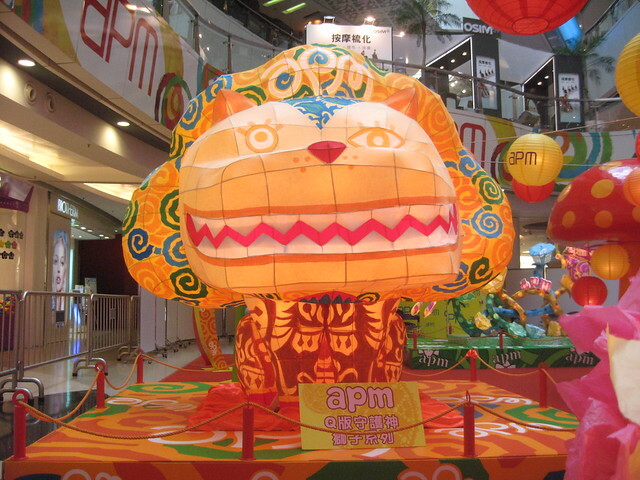 In Hong Kong (and China), mid-September is the time for Mid-Autumn Festival, and many shopping complexes exhibit lanterns to celebrate the occasion. (Last year's apm's lantern exhibition was also by a Japanese arttist, Houko Inoue, managed and coordinated by EDGY JAPAN.) apm decided to use nebuta as lantern this year, and EDGY JAPAN was asked to coordinate nebuta master, as well as the production. After numerous numbers of e-mail and telephone exchanges, the following production scheme is set. Takashi Kitamura and his crews (5 of them including Mr. KItamura) to stay in Hong Kong for 22 nights and 23 days (Approx. 2 weeks for production and the rest for press interviews), and create 3 mega-size lanterns from the scratch. The reason for this scheme -- the cheapest. If they were to create 3 of them in Japan and ship them over to Hong Kong by air, its production cost will triple. After 16 days of hard working under the hot and humid Hong Kong summer, 3 amazing nebuta-lanterns, as tall as 4 meters, were born. 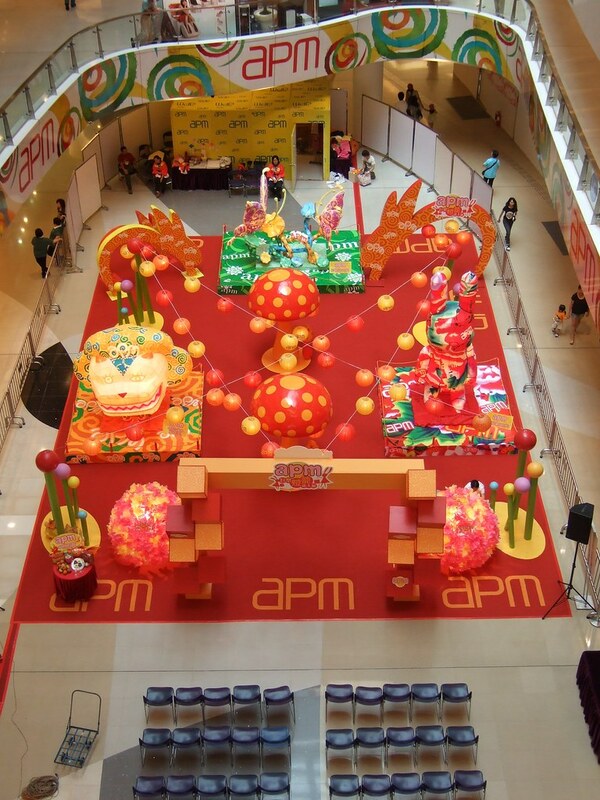 They were exhibited at the main concourse of apm mall from September 13 to 26. 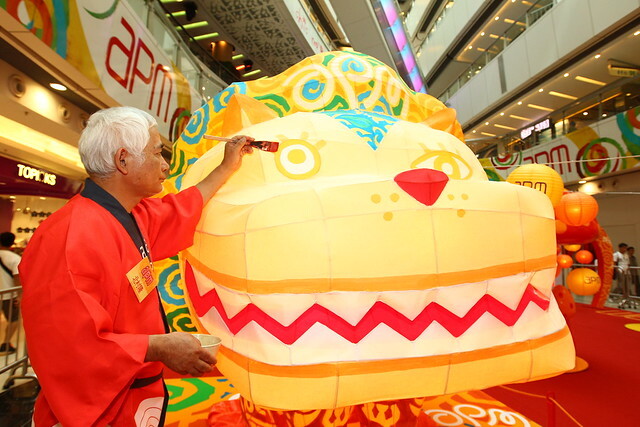 The lanterns attracted many press coverages (more than 25 press coverages) and regardless to say, shoppers. "In the past, I've stayed in London for a long period of time to create a huge nebuta for The British Museum. What was hard about this London stay was that I couldn't eat rice! In that sense, even though the working condition was not the best, it was great for me to work and eat rice along the way. 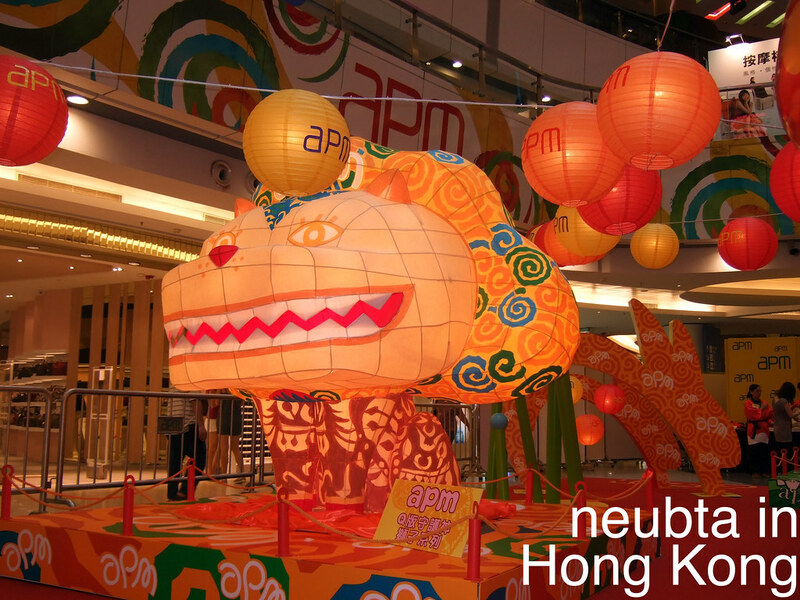 (laughter) Also, I've noticed that most of the lanterns in Hong Kong are made from nylon-made cloth. Because of nylon's texture, when a light is on, you can see-through the bulbs from outside and I don't think it looks great. As for washi (Japanese paper, used as a skin of nebuta-latnern) you can't see-through the bulbs, so I think the total appearance would be much better." Mr. KItamura said, as he wiped his sweat from forehead. If you're interested in having similar project with Mr. Kitamura, contact EDGY JAPAN.